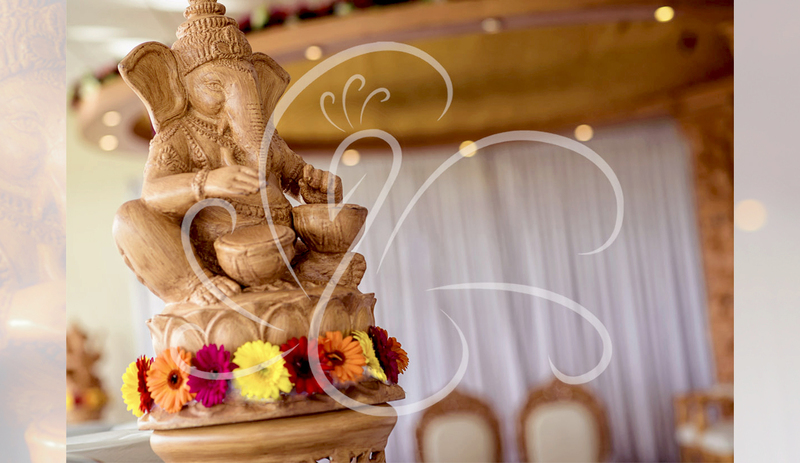 The intricate carving of Lord Ganesh on every mandap pillar is a joy to behold from every angle. 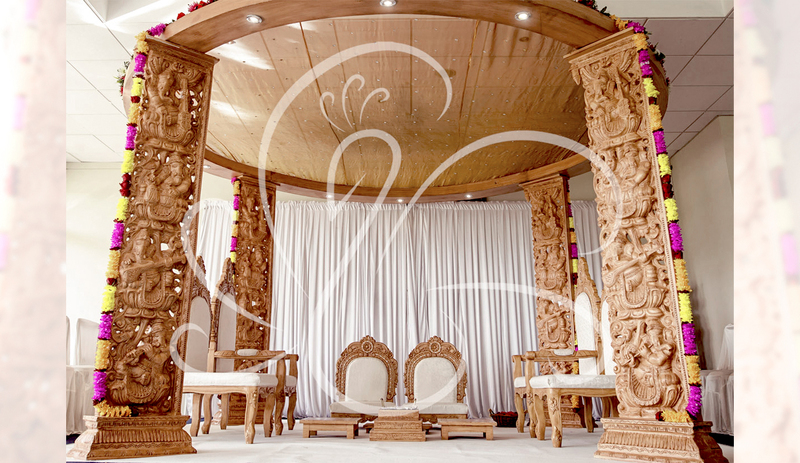 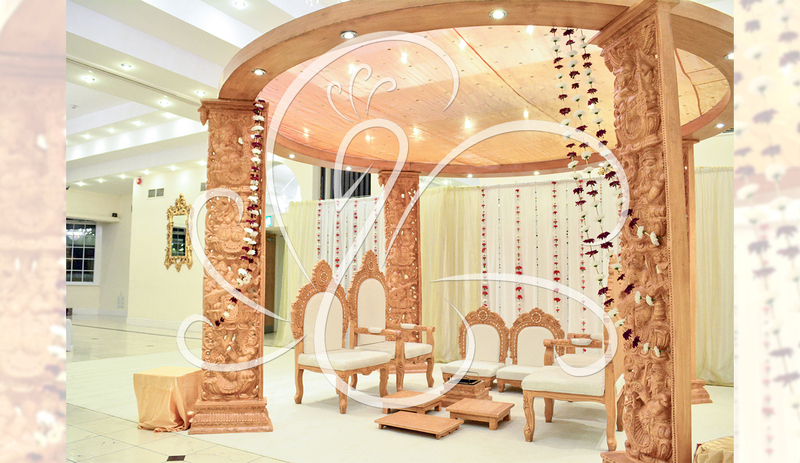 This wooden carved mandap is available in 4 pillar or 6 pillar arrangements. 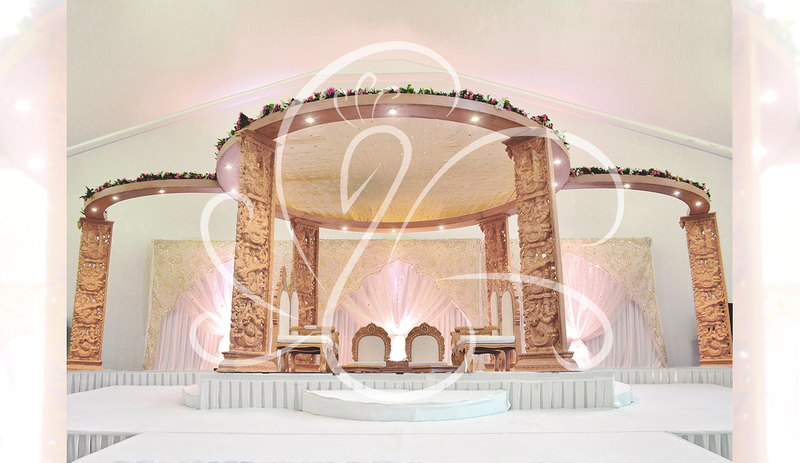 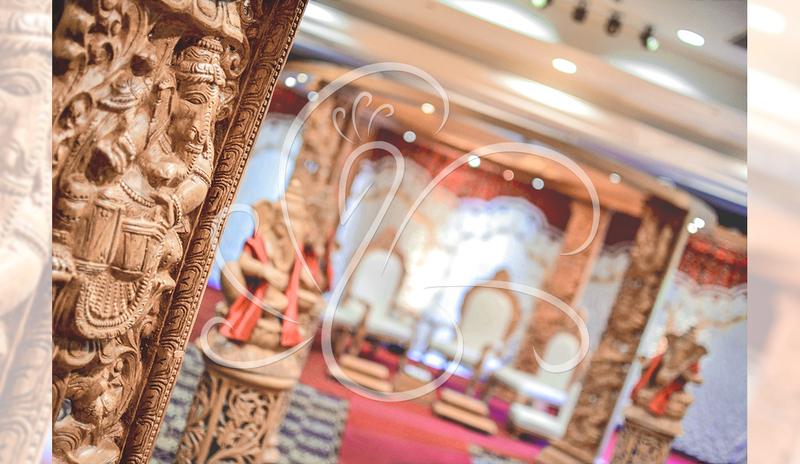 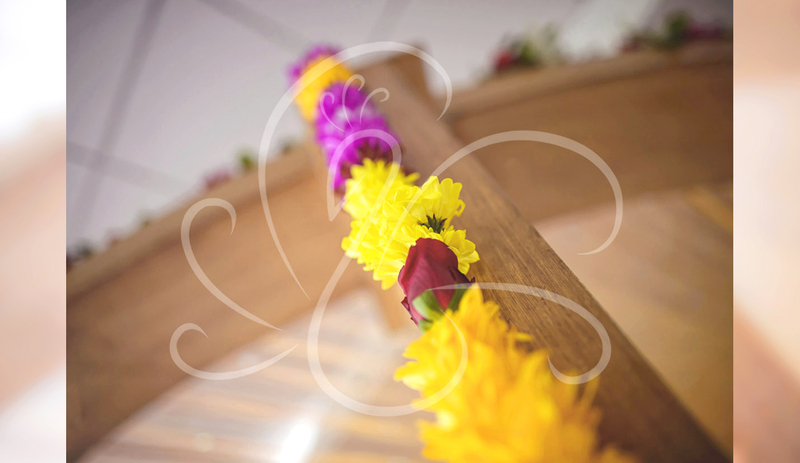 It features a matching gate, wonderful aisle decor with hand carved pedestals and Ganesh statues. 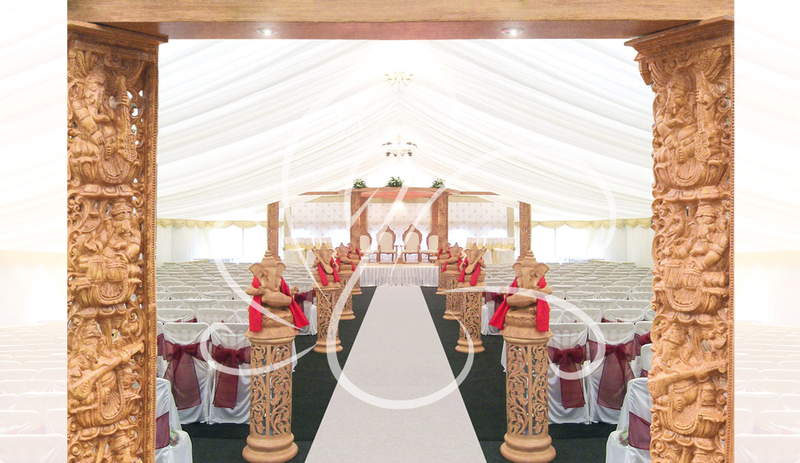 This ever popular mandap has to be seen in reality in order to appreciate the great care and precision taken to sculpt such a masterpiece.